The seaside community of Half Moon Bay, California offers a peaceful and relaxing natural environment to escape from the worries of the world and unwind. Plan to spend a few days in a Half Moon Bay bed and breakfast and visit one of these BBOnline recommended parks and beaches. One of the most visited beaches in area - over 2.5 million visitors each year - Half Moon Bay State Beach, extends for more than four miles and offers sunbathing, fishing and has grounds for camping and picnicking. The water is cold year round in the area and there are very strong currents. However, for surfing devotees can experience the world renowned Mavericks. Half Moon Bay State Beach is also home to Snowy Plover enclosures for nesting. Snowy Plovers are on the endangered species list. You might catch a glimpse of the little birds sticking their heads out and exploring the beach. 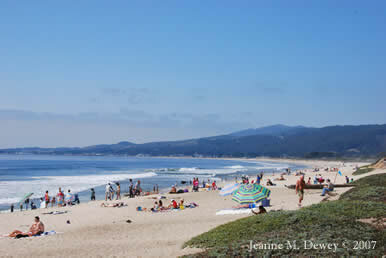 Half Moon Bay State Beach is open to visitors from 8am to Sunset and is FREE to the public. Campgrounds are by reservation only. What are some of your favorite beach town Bed and Breakfasts? Let us know on Facebook! 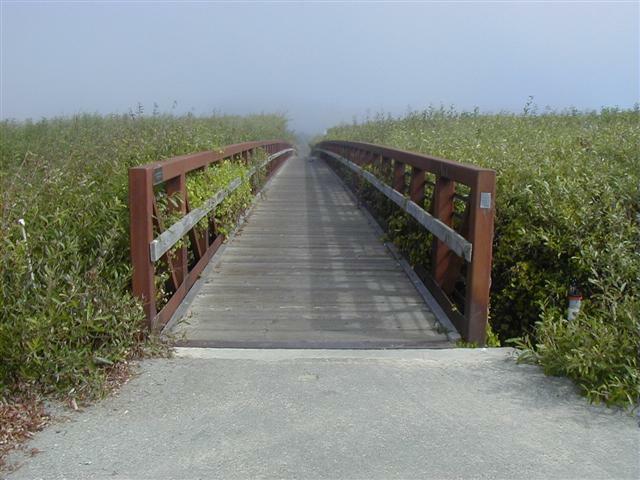 The Waterfront Coastside Trail in Half Moon Bay extends along the Pacific Ocean. Formerly known as the Ocean Shore Railroad; the Waterfront Coastside Trail meanders through the remnants of the old railroad. Visitors can expect to see beautiful views of the seascape, as well inland landscape. Bird enthusiasts will enjoy the array of feathered friends available to spy on including red winged blackbirds, blue herons and red tailed hawks. Also known as Devil's Slide, Gray Whale Cove State Beach in Half Moon Bay, is a great place to have a picnic and sunbathe. The beauty of Gray Whale Cove is the hidden cove, situated just below a sharp drop from the cliffs. There is a winding trail down to the beach area. Gray Whale Cove State Beach is also aptly named for the whales that swim close to the shore along the beach. Visitors may also see pods of dolphin and sea lions. Gray Whale Cove is open to visitors from 8am to Sunset and is FREE to the public! 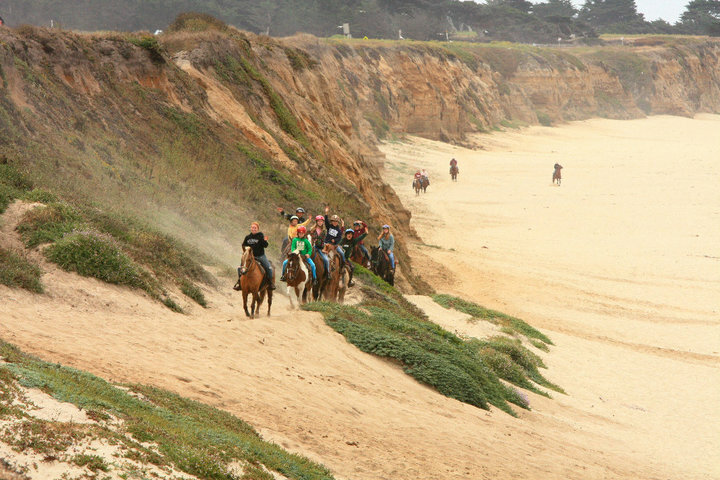 Sea Horse Ranch offers guided horseback riding along the beach at Half Moon Bay. Horseback rides include 1 hour trail only, as well as trail and beach rides lasting from 1 and a half to 2 hours. Sea Horse Ranch is open seven days a week from 8am to 4pm and reservations are encouraged. Depending on the type of trial, costs range from $55 to $75. The Pigeon Point Light Station SHP is a 115 feet tall lighthouse that is literally perched on the side of cliffs. Considered to be one of America's tallest lighthouses, Pigeon Point Light Station was built in 1872. The lighthouse is closed to the public; however visitors can tour the grounds, explore the hiking trails and marshland and picnic on the grounds. 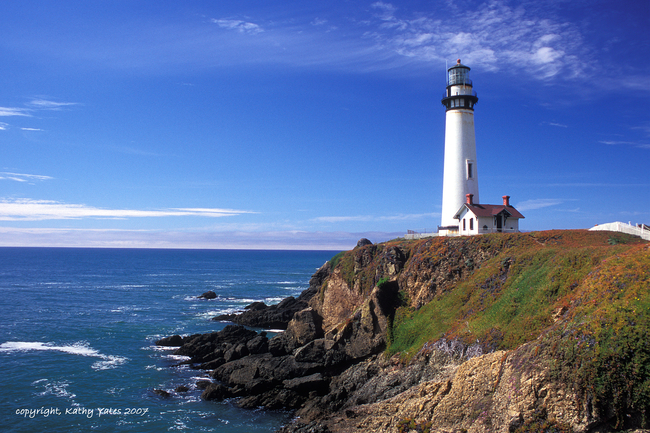 Pigeon Point Light Station SHP is open daily from 8am to Sunset and is FREE to the public.